What's Up with Your Government? How can a candidate lose the popular vote and still become President? What is the difference between direct democracy and a democratic republic? This timely book shows curious readers what happens after the voting polls close. 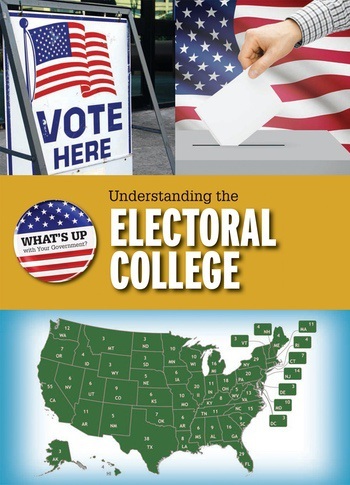 As they learn about the Electoral College, readers are encouraged to ask tough questions about the presidential election process. A unique combination of U.S. history and political science, this volume uses historical events to explain abstract concepts. Fact boxes highlight important topics and offer illuminating tidbits, while photographs illustrate key issues. Relevant to both current events and U.S. history, this book is an essential for any library and classroom.